The bigger the family gets, the more space you’ll need to keep everyone comfortable. Buying a new home is fantastic, but home extensions are even better. But, wouldn’t that mean you’d need to let go of your beautiful garden or have garden space at least? Not to worry, you have the option of extending your house upwards rather than on the ground. Although we are headquartered in Brighton, Milosh Loft Conversions operate in and around Rottingdean, delivering top-notch loft conversion projects for homeowners across the area. Improve the value and space of your home when you trust us with your loft conversion project. Our bespoke process means that your new space will be designed to suit your requirements to the very last detail. A loft conversion done can be for a variety of reasons as seen amongst different homeowners in Rottingdean. One of the most common reasons is to create an extra bedroom to ensure there’s enough space for every member of the family. For a cosy place to have a little ‘me’ time, you can convert your loft into a game or a hobby room. Another useful way to utilise a loft conversion is to turn it into a home office. You can also make your house a better investment by adding a loft conversion to improve its value. There are a number of advantages loft conversion has over other approaches to increasing the usable space in the home. You wouldn’t need to wait too long for a loft conversion project to be completed, unlike other home extension methods which may also require garden space. In addition, it’s generally cost effective and less expensive than moving into a new place. It’s not as much hassle either as you may not need permission from the authorities, plus your garden will not be damaged. Our team will be certain to keep the new room true to your desires, from the initial design to the final fittings. Milosh Loft Conversions work with homeowners across Rottingdean to make their houses more functional by adding much-needed space. You can count on us to do the same with your home. How valuable is a loft conversion in Rottingdean? Studies prove that carrying out a loft conversion can improve the value of a house on the market. For instance, a Nationwide Building Society study indicates that the value of a house can go up by as much as 20% with the addition of a loft conversion. That could mean a £20,000 increase in value for a property valued at £100,000. If the hassle and money you have to spend isn’t a problem, then converting your loft is a great way to expand the space in your home while increasing its value. Are loft conversions worth it? Yes, you will be. As long as you know what you want for your loft conversion, whether that’s a nursery for the baby of the house or an en suite bathroom, you’re likely to be better off with a loft conversion. We work fast, so it wouldn’t be a long wait before your new space is ready. The end result is most certainly worth the mess that ensues as we work on your loft conversion. World my loft conversion project be subject to Building Regulations approval in Rottingdean? Your obtaining Building Regulations approval for your property in Rottingdean depends largely on the building and the scope of work to be carried out. There are specific requirements that guide the kinds of alterations that can be made on homes that are at least two storeys high. The safety of the fire escape system and stairs are particular concerns and that’s why these guidelines have been put in place. They also aim to ensure that the structure and its roof remain stable, the new floor is structurally strong and the sound insulation between the loft conversion and other rooms is reasonable. The Building Regulations that apply will vary depending on the scope of work. Extensive activities such as installing stairs, boarding out the loft or lining the wall are likely to have the regulations apply. At Milosh Loft Conversions, we understand the local and national guidelines that apply to loft conversions in Rottingdean. If there’s any need to obtain approval for the work, we’ll get it done. How much does a loft conversion cost in Rottingdean? Starting from £20,000, there’s a wide range of prices you could pay for loft conversions. The number of dormers, the size of your extension and your location will all factor into how much you’ll have to pay in the end. You don’t have a problem in Rottingdean as far as location is concerned because it’s not one of the more expensive options in the UK. Even better, we won’t rip you off by quoting exorbitant prices. What are the types of loft conversions available in Rottingdean? 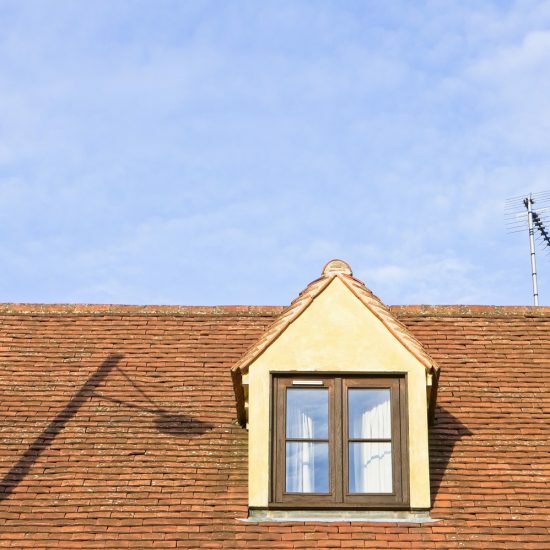 There are several kinds of loft conversions, but we’ll determine the best for your building by taking into consideration a number of different factors. The first factor to consider is how much you’re willing to spend. The next point to consider is how much room is available for a loft conversion and the kind of roof your building has. Another important consideration is whether or not you need planning permission. Rooflight conversion; here, the existing roof space will be converted with roof lights added to the front and back to avoid increasing the volume of the roof. If desired, we may also add windows into the gable walls. More than any other type of loft conversion, rooflight conversion is cost-effective since you won’t be making too many alterations. Dormer conversion; this involves increasing volume at the back, sides or front by adding dormer windows into the pitched roof plane. If only a small extension is needed due to your intention for the room, we may need to fit only one or two windows. We can also utilise the full width of the roof to create a large enough space with full headroom. Hip-to-gable conversion; a ‘hipped’ roof is one that slopes down to the eaves on all sides. Within hipped rooves, the usable space available can be expanded by putting a gable wall in place of one or more hips. The roof will then be extended over the gables to create sufficient space. Gable-to-gable conversions; after building the gable wall, the roof will be rebuilt at the back such that we have a raised, near vertical pitch that’s about the ceiling’s height. This type of loft conversion will result in a wall with windows. We often use this method for terrace houses. The resulting space can be a large one with full headroom. Mansard conversion; this type of loft conversion involves removing your roof entirely and replacing it with a new structure resembling a box. That would mean your house would have an additional storey with almost vertical tile-hung walls. We’ll then place an almost flat roof on top. Is it possible to do a loft conversion for every kind of building? Loft conversions can be done on most kinds of houses. But, in other cases, a loft conversion may not be possible due to the shape and pitch of the existing roof. We can have a look at your roof to help us decide whether we can complete a loft conversion, so please set up an appointment with us today. We’ll need to find out whether the new structure would have enough support from the walls you already have. If your roof has a gable end wall, a loft conversion shouldn’t be a problem. However, it may be a bit of a challenge if you have an intersecting pitched roof, a hipped roof or an older home with a trussed rafter roof. We have worked on a variety of roof types in and around Rottingdean, so you can count on us to deliver even if yours is a complicated roof. What makes Milosh Loft Conversions the company to choose in Rottingdean? At Milosh Loft Conversions , we spare no expense in making sure we do the job right. We take our time to understand your vision and then make that our mission. In addition to a friendly service, we take pride in paying attention to the small details and we can guarantee that we’ll complete the project before long. Rottingdean is a coastal village settlement near the town of Brighton and contained within the city of Brighton and Hove. Rottingdean is in the wider area of the South of England, East Sussex. Rottingdean is bordered by the villages of Woodingdean, Saltdean and Ovingdean. The postcode areas of Rottingdean are BN51 and BN52. Rottingdean is a popular coastal location, on the South Coast of England. There are several parks and open spaces within Rottingdean including St. Aubyns Field near the centre of Rottingdean. The two main primary schools for the village are St. Margaret’s Church of England Primary School, Rottingdean and Our Lady of Lourdes RC School. Rottingdean is bordered to the South by the English Channel, with Undercliff Walk running along the coast. To the East of Rottingdean is Peacehaven, and to the West Brighton. Beacon Hill is located in the Western area of the village. Rottingdean Windmill is to the West of Rottingdean Village Centre. The coastal village of Rottingdean is to the South of the County of East Sussex. The dialing code of Rottingdean is 01273. Rottingdean is part of the Brighton, Kemptown Constituency. Other big towns around Rottingdean include Lewes to the North, Seaford and New Haven to the East and Brighton to the West.